My Wandering Life: The mall was a CIRCUS! Literally! 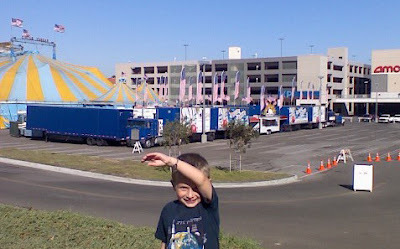 Mommy: Ben, look it's a circus! Mommy: What's the matter? Don't you want to go to the circus? Ben: No Mommy, they have clowns there. Mommy: What's wrong with clowns? Ben: They are scary. They wear makeup. Even the boys. Well, it's official. We have another generation totally freaked out by clowns. It's a heritage to be proud of.